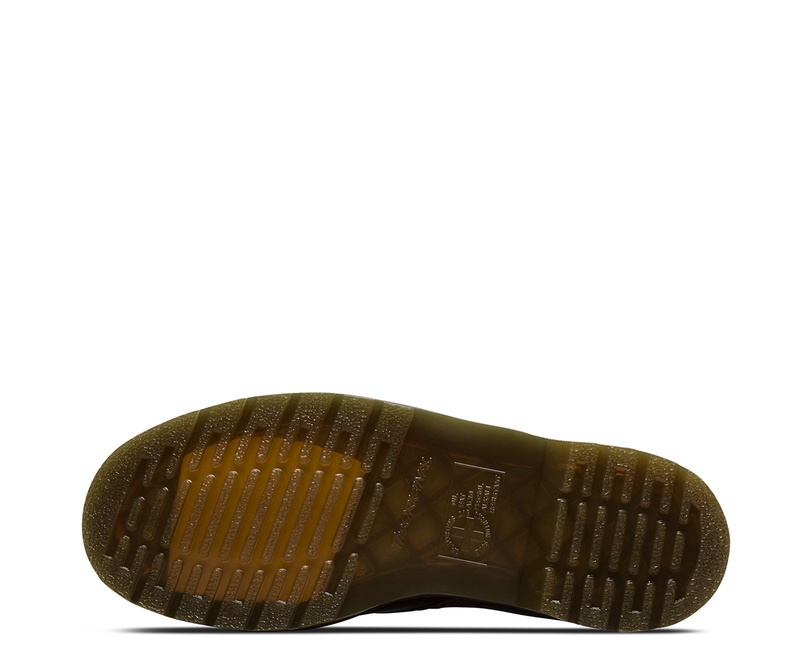 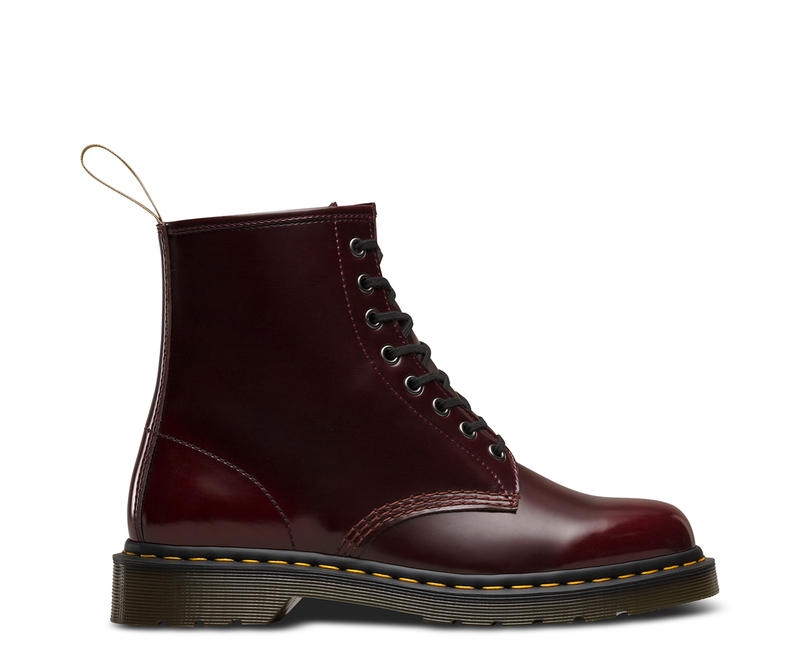 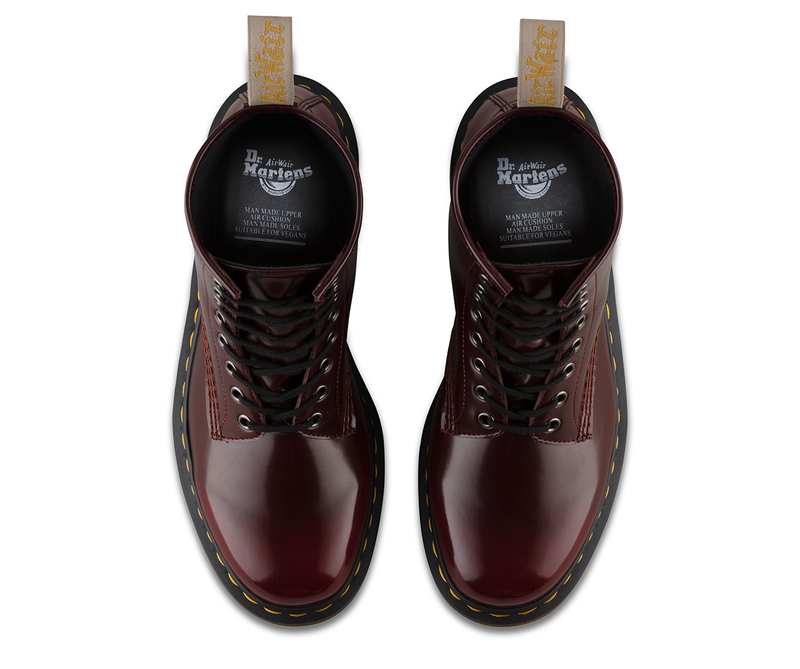 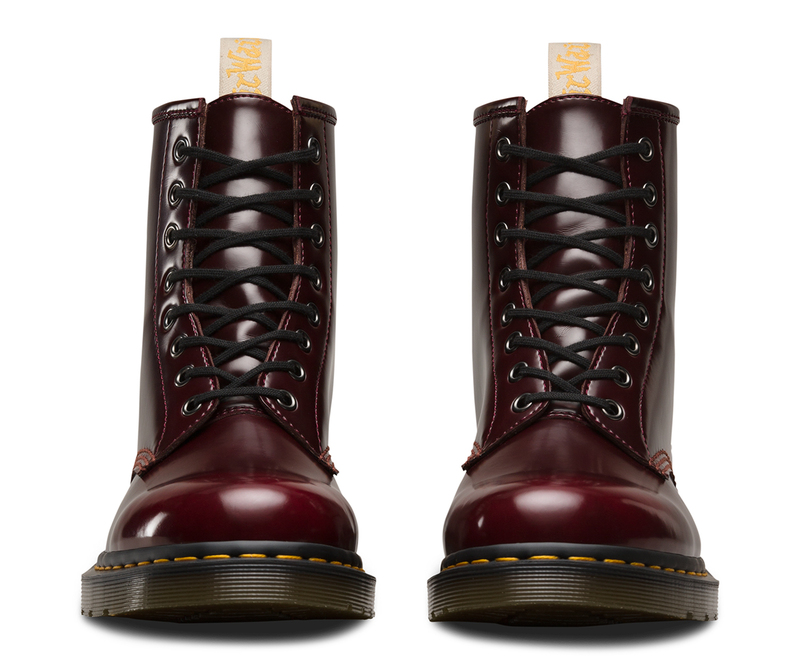 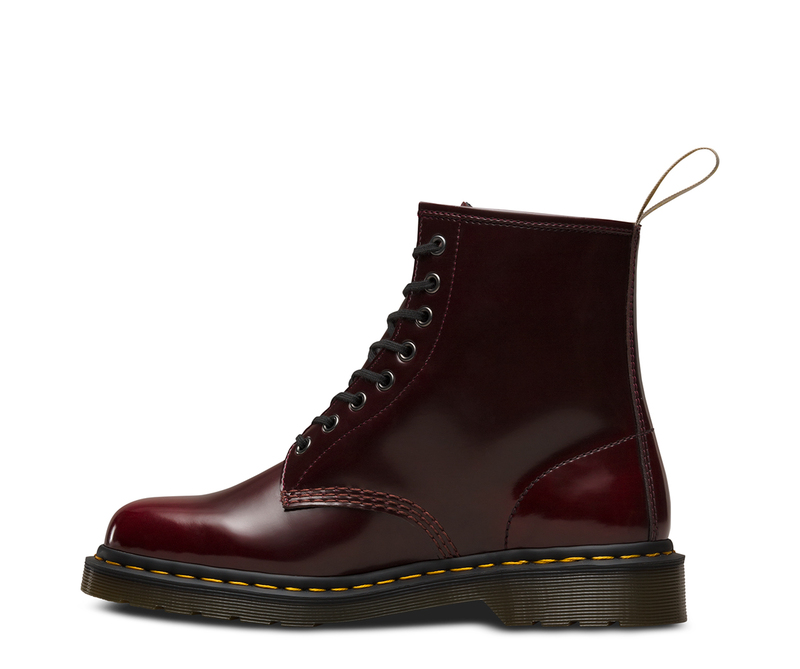 The 1460 is the original Dr. Martens boot. 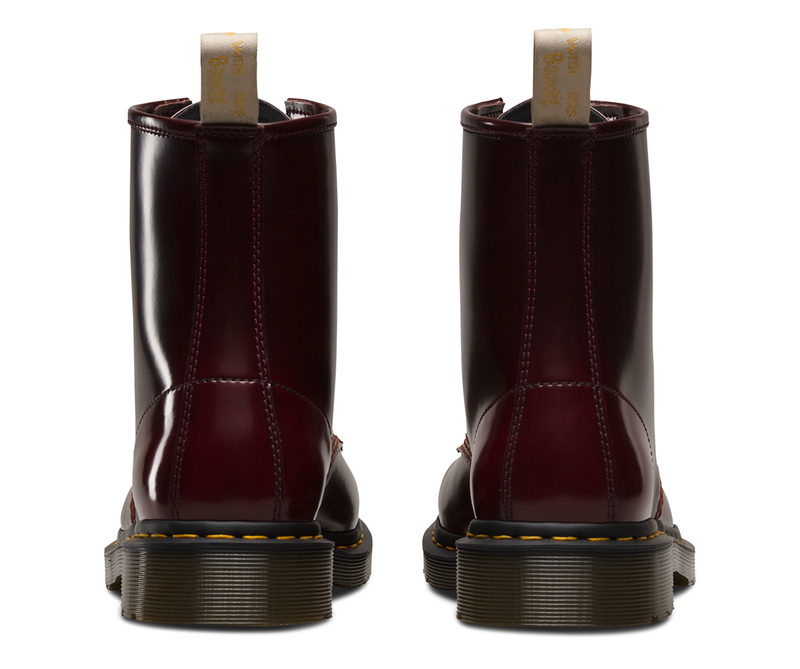 The boot's recognizable DNA looks like this: 8 eyes, grooved sides, a heel-loop, yellow stitching, and a comfortable, air-cushioned sole. 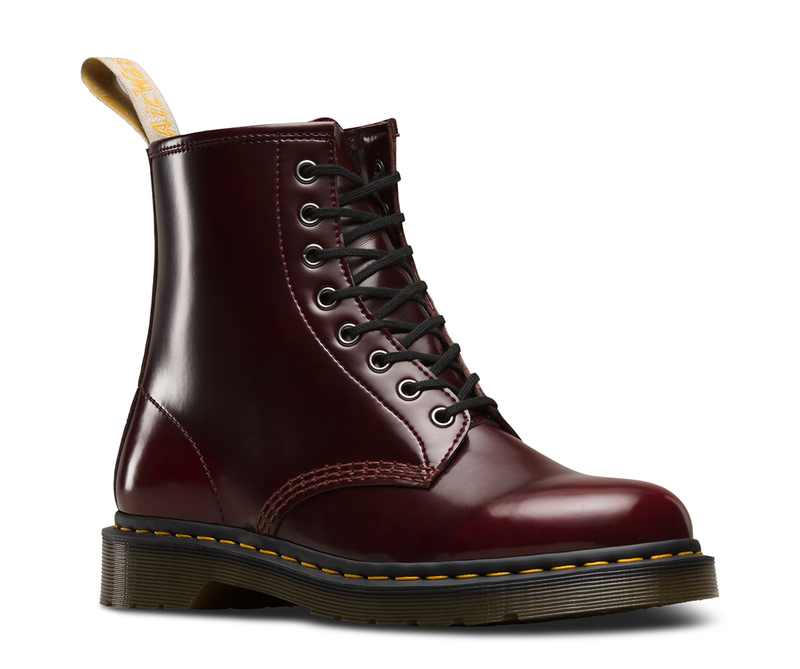 But this boot goes one step further, with a cherry-red synthetic material and a 100% vegan construction.